Founded in 1947 Salomon appeared in the heart of the French Alps, the birthplace of modern alpinism. 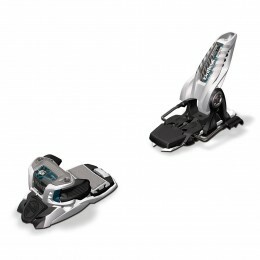 Motivated by their passion to ski along with its son George they have designed and perfected first modern ski bindings. Since then Salomon skis are on top of skiers preference. 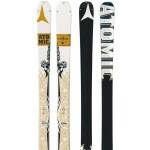 The time has come to be a major player on the international market in the production of skis and all related products. Salomon story begins in 1947 in Annecy, France, when Francois Salomon and his wife Jeanne and son George opened a workshop in Côte-Saint-Maurice, which manufactures blades and ski edges. Shortly after opening the workshop, George Salomon enrolls in a night school to learn engineering. With these courses, George built in 1952, a machine that can produce edges faster than he would have done manually. Also, decide to invest in the workshop and to expand its products to enter the European market, according to the online store page Salomon. This decision will avoid a conflict between Francois and his son Solomon the father wanted his son to be a teacher. Family conflict will be solved by taking a leadership workshop by George. George Salomon’s ideas turn out to be more than inspired, whereas in the period 1955-1962, its products are sold worldwide and the company is present in all winter sports fairs in France and USA. 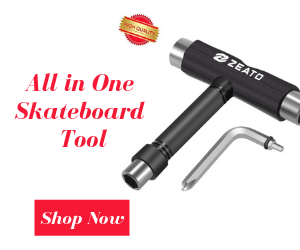 Success will be based on the launch in 1955 of Skade, a release allowing toes and involved a pair of bearings on a steel rail, which helps the front leg lateral displacements. Although the system was not showy, Skade function parameters set and enjoyed the appreciation at that time. Two years later, George Salomon will start working and Skade links. Improved over the coming years, Salomon ski bindings were used in the 1966 Winter Olympics, according to the history given by the French company. Moreover, Salomon becomes the next period, the leading ski ties after Skade turns S505 model by building an innovative clamping system with the automatic release of the heel. Between 1969 and 1973, the French opened their first subsidiary in Germany, Austria, Italy and USA, and the second workshop in Annecy. In 1972, Salomon is the world’s number 1 manufacturer of links, with sales of over one million pairs of links per year. Of these, two-thirds were the export, according to Alpenglow Sports. 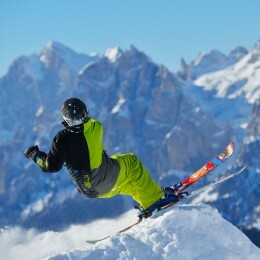 In 1979, Salomon expands its product range and entering the French market as a producer of boots for skiing background. The business has evolved rapidly and the number of employees was about 1,000 in 1983. Also in the early 80s, appears SX series of boots, with French designer Roger Tallon. In 1984, working with a designer Salomon younger than Tallon, Roger Pitiot and enter SX91. From then until 1997, when the company became part of the Adidas Group, Salomon launched several products for mountain activities. According to the online platform, Salomon in 1990 launched the first pair of skis, S9000. Also, this year appears a sales chart company, under which, from the appearance on the market, Salomon had sold five million pairs of boots for skiing background and 10 million pairs of boots for alpine skiing. A year later, the French company brings in mountain sports industry a range of footwear for trekking, followed by a range of footwear for hiking. In 1997, Adidas takes over the company’s George Salomon. 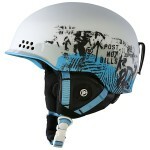 A year with the launch of the first model concurs with the takeover of the Salomon brand snowboard. Under Adidas, Salomon introduced in 2000 freedom ride and freestyle skis and Pilot systems. 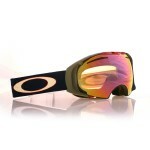 In 2002, a new pair of shoes Techamphib wins ISPO, the most important fair of the sports industry and sports equipment. 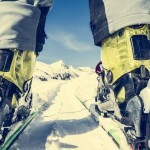 In 2004, Salomon is revolutionizing ski boots, bringing on the market to Space Frame. Also this year, the French will launch the first set of Schur shift. On May 2, 2005, Adidas announced that it will sell Salomon to Amer Sports Finns, for $ 485 million. On October 20, 2005, it signed the contract of sale. In 2005 it introduced 3D XA Pro 3D model chassis. 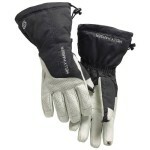 America, Salomon develops a wide range of sports equipment. In 2006, uses technology first soft shell footwear, and in 2007 used EXO technology, all for the first time. Surprisingly, from skis, Salomon equipment market reaches and trail running, launching in the same year, a range. 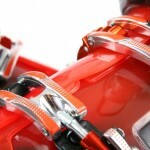 In 2008, there customizes ski boot technology. More specifically, the insert leg in by Thermoforming to make a mold of the foot. In 20 minutes, everyone can customize boot. In 2009, there tailor headphone technology is given a new pair of boots for competitions X3 or X3 RC CS Salomon. However, in 2009 their boot model S-Lab Skate Pro for Cross Country Skiing, Aero Jacket GT 3:1 set of clothing for skiers and EXO Sensifit which improves upper body oxygenation and reduces energy loss. In 2010, I launched SNS Propulse links and Quest ski boots. 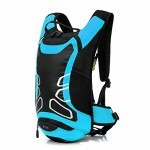 In 2011, Salomon appears XT Adv Skin 5 S-LAB, a backpack for trail runners. 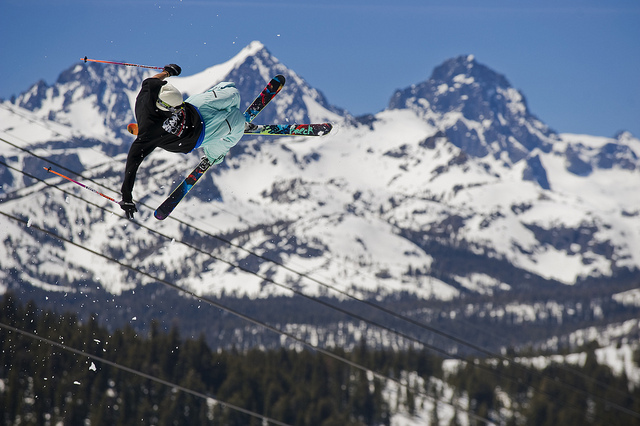 All models appearing on this year’s X-Scream skis, Pocket Rocket, AK Rocket, with a technology inspired by surfing, kite-surfing and other sports “slick” on the water or snow. The Shaper, Beber (aka BBR) is the designer Salomon, who inspired surfing, kite-surfing and other sports “slick” on the water or snow, created models of Salomon skis:X-Scream, Pocket Rocket, AK Rocket and now new concept BBR. Closing the factory in France and moving production line in the company Atomic went smoothly. It seems that the slogan of the season for Salomon is all mountains. 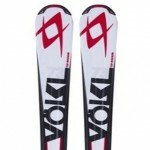 The hottest models: athletes skiers ski again recommend Equipe range, namely the GS models 2V and 3V SL. 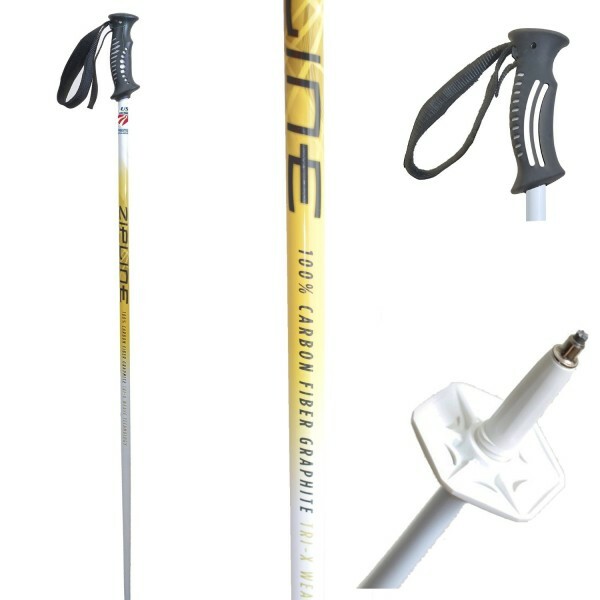 These two top models possess Powerline developments this season, which at first glance resembles Atomic D2 model technology, but above core skiers, there is a core plate, which is very important in cushioning in maintaining and increasing the bend line stability, although it does not influence radius, no hardness skiing. 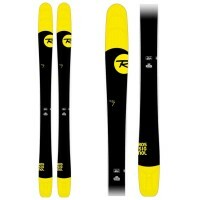 And without these updates can say quiet technology, these skis are equipped excellently. A few gentle are models Equipe 24 Hours and 24 Series, with a radius less extreme. Cross series since last year has been retired, the only survivor being Crossmax W12, which actually forms a bridge between the models for racing competition. The number of models Allmountain X-wing is not small; they are represented exactly by number of 10 members of this family. Family characteristics X-Wing Stealth technology type, which actually means a tracking ability of the top ski terrain unevenness, which is a big help on steep slopes, bumpy, control is much higher. The top is X-Wing Fury, which can be purchased both with and without these links. Their radius moves between average (163 cm – 14.6) to GS (184 cm – 20.5) with a width in the median of 85 mm. The model of the Tornado and Tornado Ti, too, can be purchased with or without ties, wood core and a width in the median of 79 mm. Radius X-Wing Storm models, 8, 6, and 4 is between 10.5 and 17.2 m with a width in the median of 75 and 72 mm. A special feature is giving up those colors Salomon typical red/blue, which was a bit forced longtime. In the models, this season’s predominant colors are black and white. For landscaped slopes can choose from models of all-around Aero, of which the most important stats are:Aero X, sandwich structure reinforced side walls; Aeromax GT and Ti, which rather fall into the category Cross; and the S is for beginners. The most important feature of these models is that they possess not one or two radiuses, but even 9-10 radius possible that geometry lines adaptable to different turn, as needed. Aero models are equipped with Lightrak links. 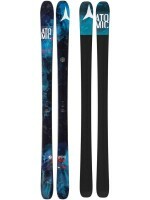 Salomon is among the few manufacturers that produce skis for adults and lower-class women, so in this context, these skis are available in 137 cm length. Besides models All-mountain:Diamond, Opal, Topaz and Crystal to recall and those all-around:Amethyst, Emerald, and Amber, all demanding design characteristic Salomon models with a special geometry structure for Women. In conclusion, we can say that Salomon is raising its expectations this season too and Salomon skis reputation will enjoy popularity as always did. Image Credit: John Lemieux on Flickr.